The New York Dolls. Such lovely boys. So butch, so camp, so degenerate, so coming to Seattle Nov. 11 as part of Little Steven's Underground Garage tour. The Dolls headline the next leg of the tour with The Supersuckers, The Chesterfield Kings and more bands that have not yet been announced. Gone are the 6-inch heels and most of the original members, but singer David Johansen and guitarist Sylvain Sylvain will grab reunion mania by the skirt Nov. 11 at El Corazon and show Seattle why they the godlike prototype punks, a glamorous collision between the Stooges and the Stones. Bobble Tiki remembers the Dolls lighting up the early '70s like "Jackass 2" at the box office then faded into oblivion, victims of naughty drugs, naughty management and bad prog-rock flavor of the day. The Manhattan Transfer parked at Seattle's Jazz Alley for a long weekend of two set nights. Although showing their age, the quartet of vocal magicians sounded excellent plowing through a 60 minute set of new and golden oldies. The group that has performed for 30+ years delivered sensational renditions of "Birdland," "The Boy From New York City," and "Soul Food To Go." Less than two weeks before the Pantages Theater's grand re-opening, officials at the Broadway Center for the Performing Arts offered a sneak peak at renovations, which are currently wrapping up. Six new, windowed double doors open to a spacious entryway, complete with ornate, stained-glass sky lights, a new, permanent concession stand and a relocated, grand, wrought iron staircase. A new box office with three windows will help diminish lines, and walls are adorned with durable white trim, replacing rose-colored velour covering that children were apparently fond of writing their names in. 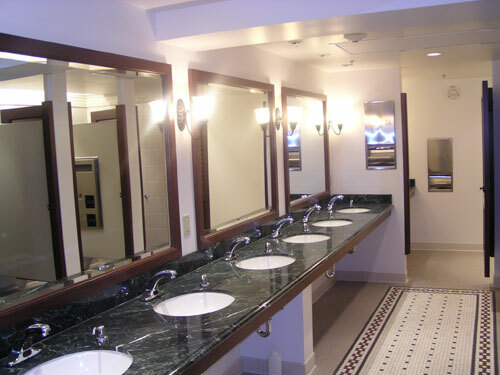 Lady patrons will be pleased to hear that women's restrooms will feature a bank of stalls suitable for a large theater, while both ladies and mens rooms have been expanded and renovated, complete with slated mahogany stall doors and nearby gold-plated drinking fountains. 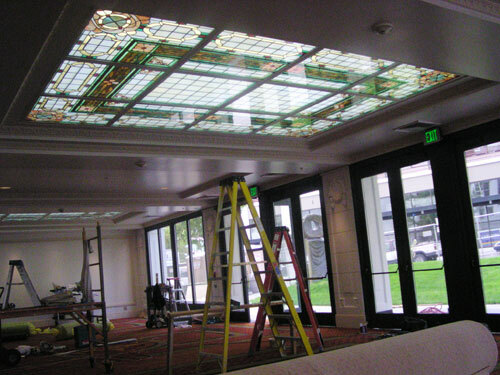 New skylights won't work very well at night, but they're pretty. 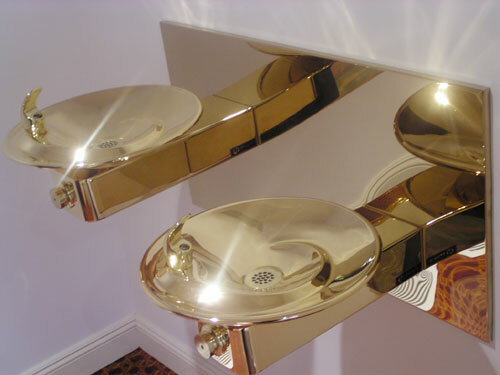 Gold plated drinking fountains. For real. Ladies rooms will have more stalls, more sinks, more mirrors and shorter lines. Contracter Chris Rosser polishes the rail, which he contends will remain polished for all of two seconds once people start using the stairs. You walk into the gallery â€" a room just past a hot dog stand, behind a running store â€" and the colors overtake you. The warmest warm tones, then the chilliest of cools, invite your curiosity in. Upon further inspection, the soothing-though-disturbingly-reminiscent-of- something-you-canâ€™t-quite-pit-your-finger-on patterns and tactile quality of the abstract pieces hanging on the wall engage you in ways you wouldnâ€™t have expected â€œdeadâ€ materials to. But Andre Schweersâ€™ "bibliotecha conservata" exhibition, showing now at the University of Washington â€" Tacoma Gallery (UWTG), isnâ€™t just papier, paraffin, and pigment. Schweersâ€™ background education in Art History, Sculpture, and Geography, as well as his participation in archaeological excavations in Italy, Greece, Turkey, and France, peeks through his works. His 14 yearsâ€™ work as conservator and archivist for the Stiftung Wilhelm Lehmbruck Museum in Duisburg, Germany, where he acquires the bulk of his artistic media, adds a vaguely â€œDaVinci Codeâ€-like mystery to the exhibition. At first glance, the pieces appear to be colorfully sculptural works. As a whole, the collection pleases the eye through bright colors and repeating patterns. Upon closer inspection, the textural elements like the papier clawing through the paraffin come through at you like a bad guy in a horror film. They invite, and inhibit, touch. They evoke curiosity behind intent, process, and the materials. Schweerâ€™s work is site-specific in his intent, and seems at home here, during curator Lani Ladbonâ€™s last exhibition with the UWTG, with Ladbon having graduated. She fulfilled what she set out to do over a year ago when University of Washington faculty member Beverly Naidus planted the seed to Ladbon to utilize the existing space that the UWT had set aside as a gallery. In October of 2005, Ladbon painted the gallery walls, curated and hung her first show, and now, 12 months later, prepares to leave her legacy in other hands. And itâ€™s up to the viewer to decode what that memory is, what secrets lie in the archival papier, paraffin, and pigment. The Weekly Volcano loves Pierce County. The following people also love Pierce County. Therefore, the Weekly Volcano loves them by some grade school math property we long have stored away. The AMOCATS will be awarded during the fifth anniversary celebration of Art at Work month Wednesday, Nov. 1, 6 to 9 p.m., at the Tacoma Art Museum. The eveningâ€™s programming will feature live music by the Kareem Kandi Band, hors dâ€™oeuvres, and an opportunity to view the museumâ€™s galleries. This event is free and open to the public. 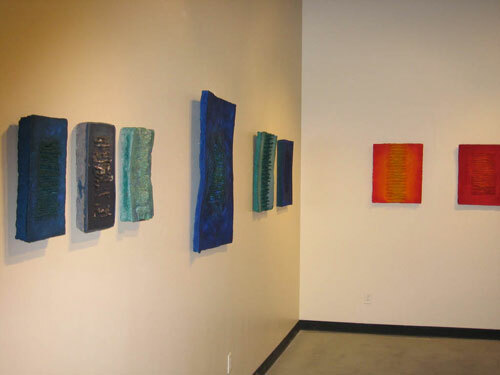 The 6th Avenue Business District, Barefoot Studios, and the artist team of Laura and Matt Eklund have been selected to receive the 2006 AMOCAT (Tacoma spelled backward) Arts Awards. 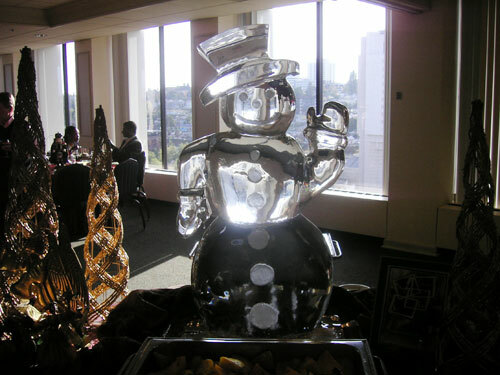 These honors are awarded by the Tacoma Arts Commission in three categories: Arts Patron, Arts Outreach and Artist. The 19th annual presentation of the Margaret K. Williams Arts Awards, sponsored by the Pierce County Arts Commission and the Pierce County Arts & Cultural Services Division, will take place Thursday, Nov. 2, at the Tacoma Art Museum. 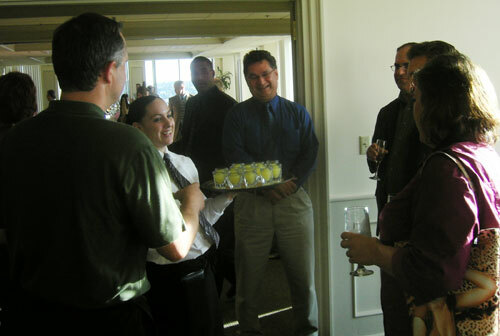 The reception will begin at 5:30 p.m., followed by the awards ceremony at 6:30 p.m. This year's recipients are Joelle K. Hanton for Arts Education, Jim and Diana Craig for Arts Education, and Barefoot Studios for Excellence in the Arts. The Jim Smith Award is being presented to UP for Art.